Rimagined, an eco-friendly brand is upcycling waste to create an entire array of brand new concoctions – from accessories to household displays. Rimagined makes products out of scrap (from denims to even tyres and tetra packs). They stock beautiful handbags, bedsheets and much more. Each product is given a “Rimagined Score” which will determine how much waste will be kept out of landfills by purchasing it and how much of it will easily decompose in the future. You can also invest in their gorgeous furniture which they sell on their site. 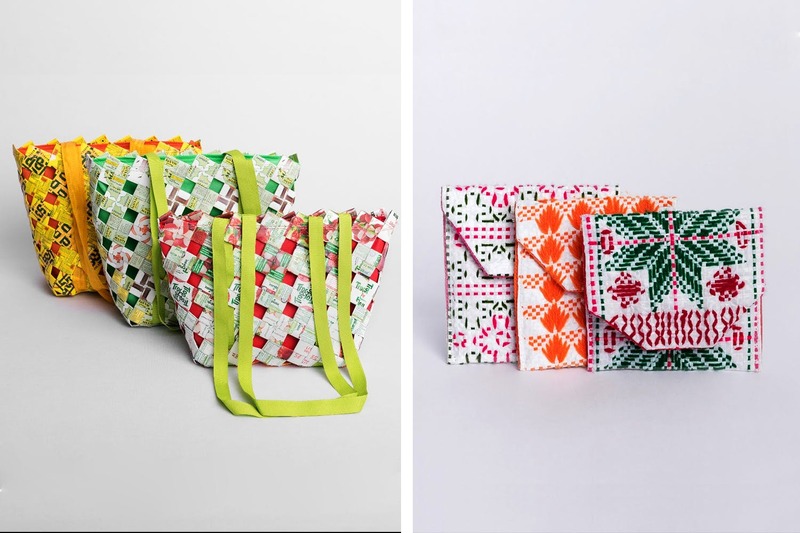 Through the products, Rimagined aims to promote conscious consumption while creating livelihood for women in the urban poor and rural sectors. It started in April, 2016 to pull waste away from landfills and they are constantly coming up with fresh, new ideas to reduce carbon footprint and encourage uniqueness compared to mass-produced, machine-made products. In Kolkata, you can find their products at Sasha on Mirza Ghalib Street. You can also buy their gorgeous products off their official website here and help save the environment at the same time.